Your customers rely on stored data to provide customized offerings and real-time services based on user needs. While this personalization is beneficial in many ways – and, in fact, is being demanded by consumers – it can put them at risk as cybercriminals target your customers’ networks, hoping to extract and exploit that data. This cyber risk has led to new regulations mandating specific security requirements to protect consumer data, including DFS 23 NYCRR 500, the Executive Order to Strengthen Cybersecurity, the Medical Device Cybersecurity Act of 2017, GDPR and more. However, many organizations are doing only the bare minimum required to achieve compliance, with little consideration of the potential advantages that going above and beyond might provide. This opens the door for your expertise to help customers rethink their security postures. The truth is, organizations that go beyond compliance to offer robust data-security controls provide greater value to consumers and build their level of trust, resulting in a distinct competitive edge. High-profile and high-impact breaches, such as the Equifax hack, have caught the attention of companies and consumers alike. As a result, users are looking at organizations that store and analyze their personal data with increased scrutiny — and holding them accountable for security slip-ups that result in breaches. A recent survey by PwC revealed that 69 percent of consumers believe companies are susceptible to cyberattacks. Still, 60 percent say companies that collect data are responsible for keeping it secure. Additionally, 85 percent of respondents say they will not conduct business with an organization about which they have security concerns. As a result, your customers must clearly demonstrate the level of protection they are providing for consumer data if they hope to build and maintain consumer trust and, as a result, grow their businesses. However, this is becoming increasingly challenging for three key reasons. Shadow IT: The popularity of the cloud and SaaS applications has made it simple for employees to run programs within corporate networks without going through IT channels. This means that potentially vulnerable programs are running with no checks by IT teams or MSPs, who are then unable to apply patches. There is also little to no visibility as to where critical data may be stored or used. This lack of insight often leads to data leakage and increases the potential for a data breach using an unsanctioned device or application as an entryway. Cybersecurity Skills Gap: Building a security program that consumers can trust involves processing and analyzing current threat intelligence and then fortifying defenses based on that information. However, because of the cybersecurity skills gap, many IT teams are stretched thin and simply don’t have the resources needed to evaluate and respond to every incident within a reasonable amount of time. This leaves networks and consumer data susceptible to derivative malware, zero-day threats and more. Siloed Solutions: While a constant stream of new regulations and standards keeps security and compliance top of mind across IT teams, it also often results in a patchwork of disparate solutions. As new vulnerabilities are discovered and regulations released, IT teams tend to simply select and deploy new solutions to solve that specific problem. However, the lack of integration among these point solutions often means that visibility is decreased, putting consumers at risk. Your customers need to provide a seamless experience to their users while meeting compliance standards and securing their network from data breaches. As you enable your customers to leverage new tools, such as connected devices and applications, they are collecting more consumer data than ever. As a result, a number of regulating bodies across the world, including the EU with GDPR, have begun imposing strict new standards for data storage and protection. 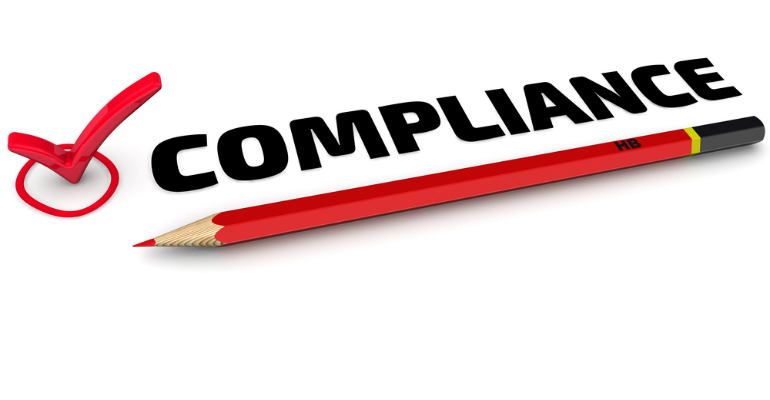 To avoid the fines and penalties that accompany noncompliance, your customers need security controls that ensure they meet these standards. However, by offering your customers an integrated, architectural approach to cybersecurity, you take them beyond simply being compliant with various regulations — that’s table stakes. By publicly going above and beyond, they can build a deeper level of trust with consumers. This not only ensures business will not be lost over security concerns, the approach can also be a competitive advantage in winning new business. When an organization can show it’s built a proactive, architectural approach to cybersecurity, it establishes the trust that consumers require while mitigating the challenges presented above: shadow IT, the skills gap and siloed solutions. An integrated cybersecurity approach gathers security controls across IoT devices, local and branch networks, and even into multicloud environments. Each layer of protection collects and communicates threat intelligence regarding global and local cyber events, enabling the entire security system to deliver an automated and coordinated response to every incident in real time. Offering cybersecurity of this caliber moves you from a one-time sale relationship with your customers to subscription models that create long-term relationships as you offer your own value-added services — not just implementation services, but also managed services that you can wrap around the integrated cybersecurity solution. You have a unique opportunity to zero in on the specific needs and goals of your customers, both short-term and long-term, providing them with the opportunity to securely and confidently grow and achieve their business goals. Bottom line: Regulations are a step in the right direction; however, your customers must think beyond compliance by taking a proactive approach to security. Helping them do so will not only further ensure the protection of consumer data but also establish the long-term trust your customers require to be successful while helping you to grow your business at the same time.